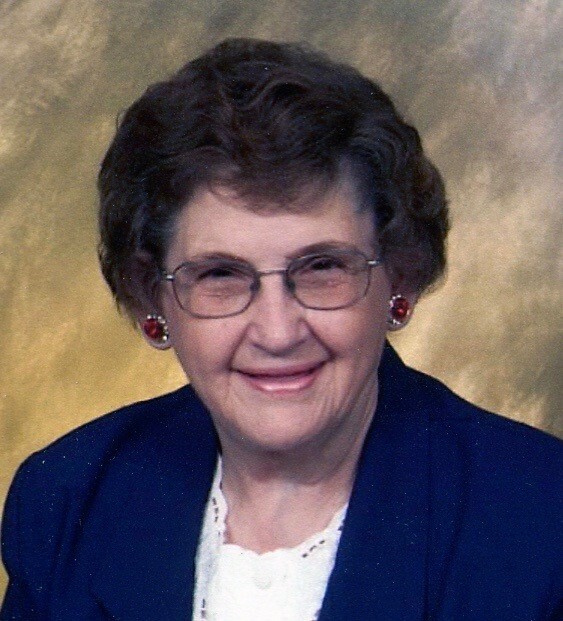 Mary Belle (West) Cassidy, 90, of Johnstown, Pa., passed away peacefully into the arms of her Savior on January 15, 2019, at Meadow View Nursing Center in Berlin. Born January 29, 1928, in Fairmont, W. V., the daughter of Clint O. And Edna (Pople) West. Mary Belle graduated from East Fairmont High School in 1945, and joined the U. S. Army Corps of Nursing as a Cadet. She graduated in 1948, from the School of Nursing at Fairmont General Hospital as a First Lieutenant. She went on to enjoy a career in nursing, working in Fairmont, W. V., Oakland, Md., and Somerset, Pa. Her last 26 years of nursing were at the Somerset State Hospital. In retirement, she pursued her dream to live on Ocracoke Island, N. C. In 1991, she and her husband, Jay Cassidy, built their home there. She provided her family and friends many wonderful memories in her spacious vacation home. Mary was known for her crocheting talent and always whipping out an afghan for family members. She loved to grow flowers, read, do crafts, send cards and host Grammy Camp. She spent a lot of time traveling to see her grandkids and share in their important events. For many years, she was a church organist for Sipesville Church of the Brethren and Buckstown Evangelical Lutheran Church. Mary was a member of the Freidens Lutheran Church and attended the Buxton United Methodist Church in Buxton, N. C.
Mary’s family was very important to her and she was loved dearly by them. She is survived by her four daughters to her first husband, Merlin Gnegy, Linda (Paul) Stahlman, Fairmount City, Pa., Debra (Ronald) Hoffman, Fountain Inn, S. C., Beverly (Rodney) Whited, Russell, Pa., and Susan (John) Coughenour, Berlin, Pa.; 11 grandchildren, Matthew (Lisa) Stahlman, Ryan (Somayeh) Stahlman, Jonathan (Susan) Stahlman, Jackalyn Robertson, Scott (Connie) Hoffman, Sarah (Jeremy) Winkler, Melissa Whited, Kymberly (Richard) Lloyd, Brad (Erin) Custer, Jeremy (Mary Jo) Coughenour, and Lonnie (Jessica) Coughenour; 15 great grandchildren, Everett, Piper, Lydia and Nina Stahlman, Kyle Robertson, Samuel and Hannah Hoffman, Conner and Brendan Lloyd, Keirsten, Tanner, Alivia, Caroline, Samuel, and Jacob Coughenour; and one great-great grandchild Kade Coughenour. Mary is also survived by one brother, Lawrence (Nancy) West, Bridgeport, W. V., and numerous nieces and nephews. In addition to her parents, Mary was preceded in death by her husband Jay Cassidy, three brothers, John E., Lewis C. and Richard E. West; five sisters, Dorothea M. Nelson, Christine G. and Maxine D. West, Wilma M. Hillberry, and Martha Lake.